But don't let the cold dampen your spirits. Here are some restaurants serving hot and hearty meals to help you cope with the long wait until spring. If the chilly weather has you down, cheer yourself up with some of Indian Wells Tavern's famous Tavern wings. Served hot with bleu cheese, vegetable sticks, and your choice of buffalo or teriyaki glaze, these jumbo-sized bad boys are just the thing to chase the winter blues away. The beach may be closed, but there's plenty of delicious seafood at Kyma to keep the summer spirit alive. Of particular note is their grilled octopus, served hot with onions and capers for unbeatable flavor. Just one bite of these babies and you'll feel all your winter worries start to melt away. If cheese equals happiness (and it does), then The Springs Tavern has found the ultimate cure for the winter blues. 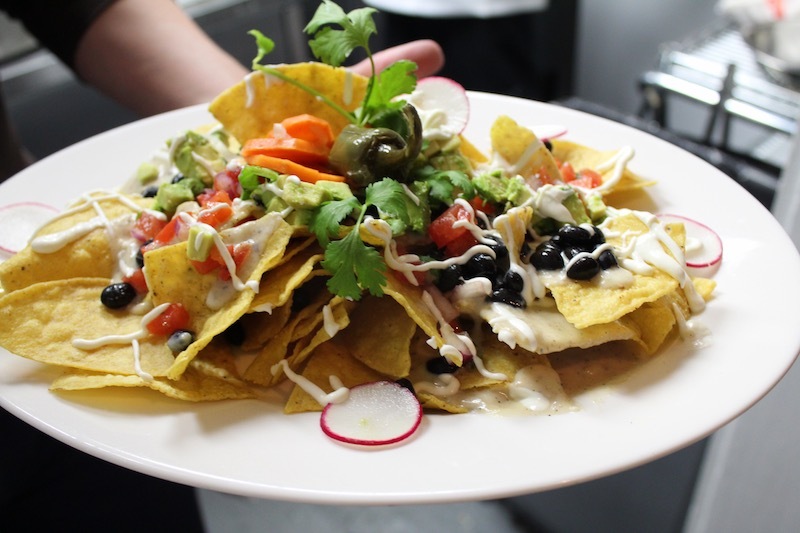 These Chef's nachos are served with all the fixin's, including cheddar, queso blanco, black beans, salsa, avocado, and pickled jalapeño. Bikini season is still a long ways away, so indulge in the gooey, melty cheesy goodness as much as you want. Some might fancy a cup of warm cocoa on a cold winter's day, but George Martin's Strip Steak knows the truth: nothing warms you up quite like a serving of hot, fresh-off-the-grill, expertly-prepared meat. That's why George Martin's Strip Steak's Rustic Butcher's Bowl makes for the perfect winter treat. Served with a juicy sliced 8oz Filet Mignon, au poivre sauce, crumbled bleu cheese, crispy onions, and parmesan-garlic mashed potatoes, this is one dish that's good all season round.